Grub Customizer, a graphical configuration tool for Grub and BURG boot-loader, has recently reached the 5.0.x series with Ubuntu 16.04 support and a few fixes. show or hide Grub menu and change the time delay. 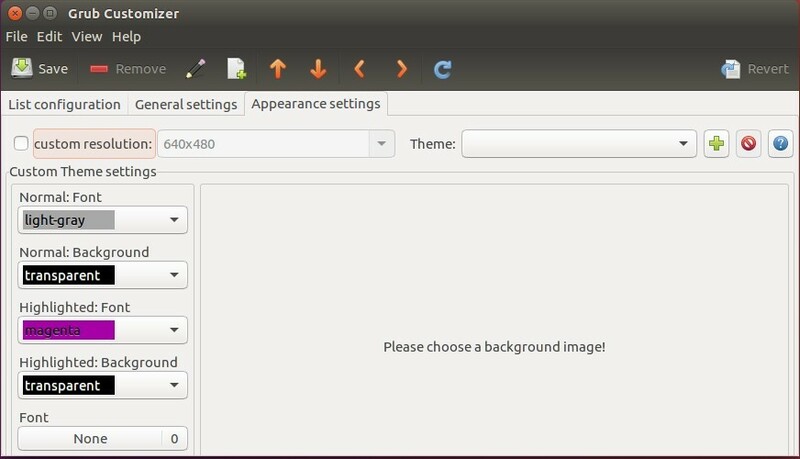 change background image, resolution, fonts, etc. install Grub boot-loader to Windows’ MBR, and more. 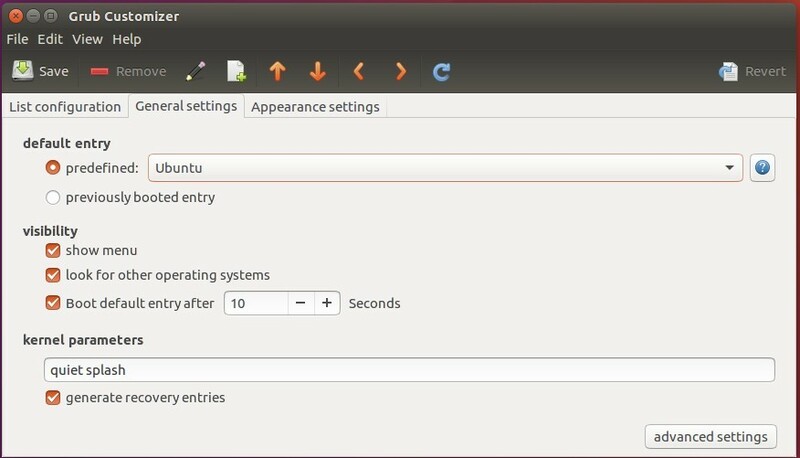 This open-source application is available in the developer’s PPA repository for all current Ubuntu releases and their derivatives. Type in password (no visual feedback when typing password) when it asks and hit Enter to continue. For those who don’t want to add PPA, grab the .deb package for your system and click install via Software Center. Hello. Great tutorial. My question is, how come when I use the Grub Customizer to put my custom value of 1366x768x24, it doesn’t work on the actual boot up screen? My boot menu looks as it should when I do sudo burg-emu (yes, I installed burg on 16.04 LTS (It appears as Burg Mode) but the actual menu when I boot is not reflecting my screen’s native resolution. Any fix on this? Grub only supports 256 colors. you cannot use 24 bit color. Look. I just want to thank you. The cli worked like a dream, and the excellent ap, LONG overdue, although i haven’t booted yet. This was NOT complicated, but beautiful! 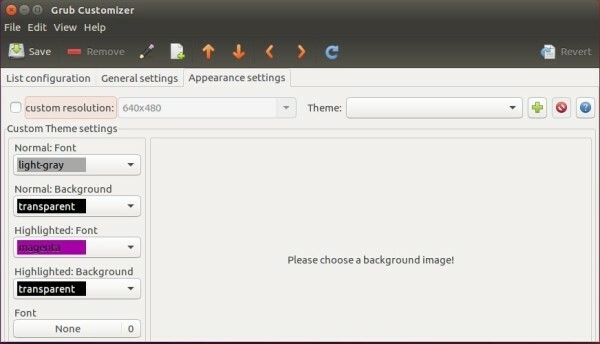 Quero baixar o Grub Customizer no Meu Ubuntu 16.04 LTS, como faço ? Thanks! The Grub Customizer helped me install Remix OS for PC on the same SSD drive, and in a folder and allowed me to select Remix OS along with the default Ubuntu 16.04 OS on my tiny HP Pavillion 10z Touchscreen notebook. Now I can select what OS I would like to run as well as easily update the Remix OS by just running unsquashfs system.sfs and replace the system.img under /remix. Your “English” grammar, etc; does not have to be good, to make you a good person, the fact you want to share, makes you better than 90% of the populus! Happy holiday greetings from Texas! (Merry Christmas!) and happy new year! How do I configure one Grub entry for the MBR area for SDA? How do I configure a separate Grub Config for boot section of SDH? Currently the boot on SDA points to grub on SDH. I want to reconfigure the boot/mbr for /dev/sda. 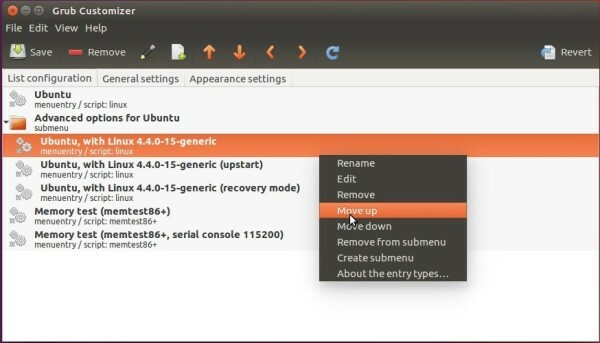 How do I specificy to which drive the grub customizer writes it’s content? I can’t make nothing after.